Pete Vassler’s Canyon Creek Timber Railway is an HO scale freelanced railroad based in Skamania County, Washington State. Pete models a rainy day in November 1956, and the logging town and surrounding area are meticulously detailed with pine trees, mountains, and waterfalls. Pete uses a gloss medium to create puddles and streams and a wet look on locomotives and rolling stock. 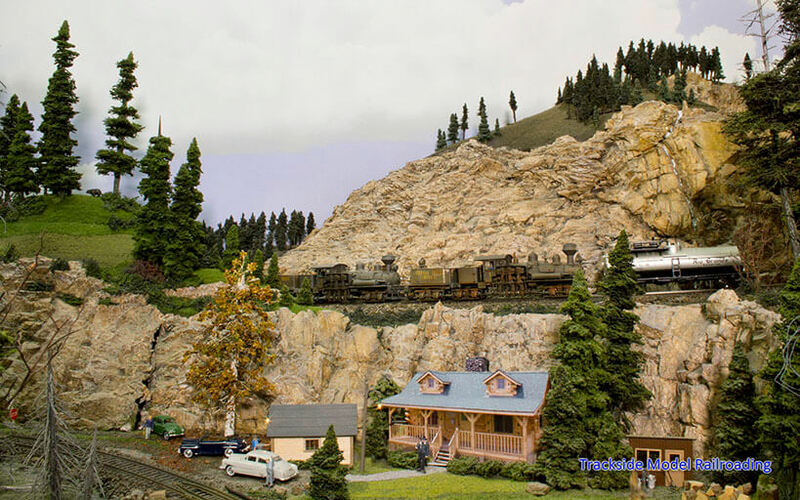 He and his wife Barbara own Canyon Creek Scenics and make scale trees and other details for modelers. You will see a good sampling of their work on the layout. 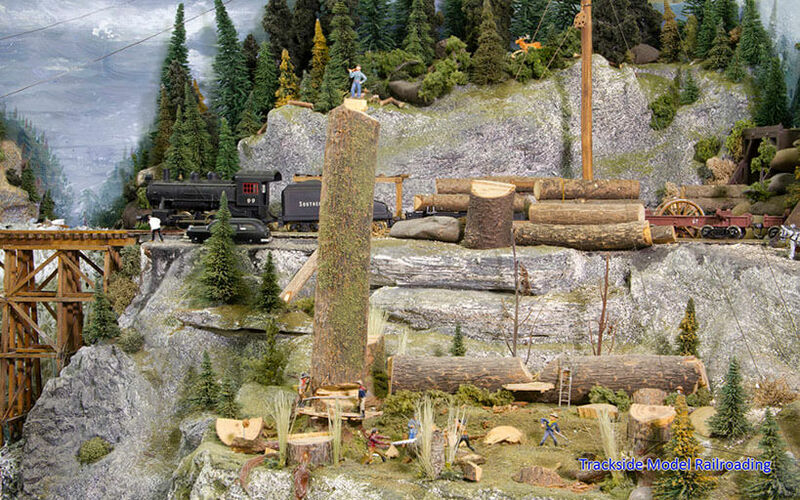 This feature includes an article, photographs, and video of the layout for a full experience of a rainy northwestern logging railroad. 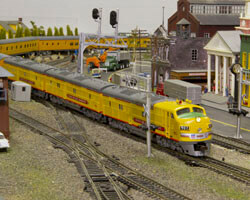 We also visit a Vancouver, Washington model railroad club this month, the Southwestern Washington Model Railroaders. The club models two layouts in HO scale. The main layout features the towns of Longview and Anderson as well as a logging operation in the mountains and small ore and gravel mines. A barge at the port on the Columbia River rolls into the other room to interchange with the club’s secondary switching layout. The layout is loosely based in the 1950s (though club members have the freedom to run other equipment). There are many interesting scenes that you will enjoy, and you can visit this layout in person if you are in Vancouver. 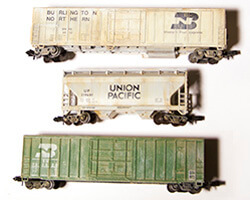 Our project this month is weathering N scale rolling stock. We use charcoal and acrylic paint to weather a few cars and give you an idea of how to weather your own equipment. Weathering N scale does not have to be difficult, and we include a method of removing some of the paint if you apply too much and are not happy with the result.